At Sports Cards Plus, you pick your box from The BEST CASES in The Hobby at the LOWEST Prices in The Galaxy (all of Texas). 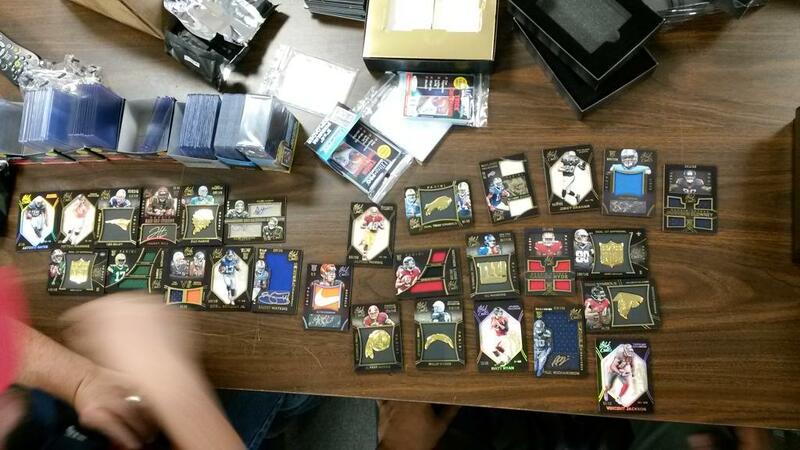 This weekend, 2014 Panini Black Gold Football stole the stage as Super Hit after Super Hit was pulled from each box. Here are some of my favorites from this last weekend. Erik came in and tried a couple of boxes and pulled a Johnny Manziel Autographed Rookie Card 1/1 and a Richard Sherman Auto 1/1. Judy came in and pull a Carlos Hyde NFL LOGO Patch Auto RC 1/1 and a Jordan Mathews NFL LOGO Patch Auto RC 1/1. 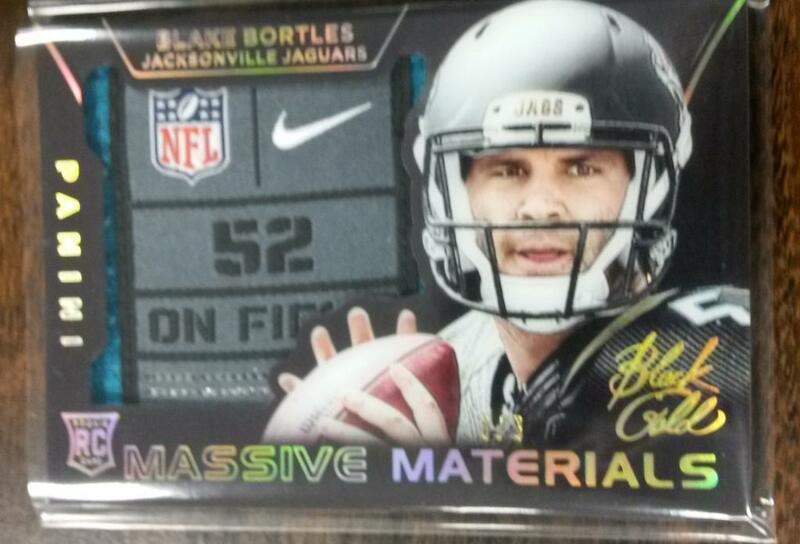 Judy also pulled the Blake Bortles Massive Materials Laundry Tag. 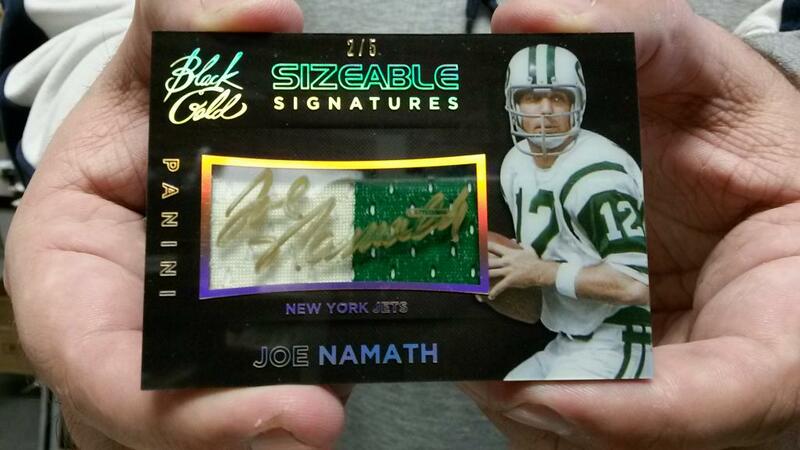 Steak came in to gave it a try and pulled this sweat Joe Namath Auto Patch #d/5. Brad came in and tried a few boxes which included a Sammy Watkins Auto Patch RC and a Payton Manning Auto Patch #d/5. Below are more hits from last weekend. What are the odds we still have any more 2014 Black Gold Football Super Hits left to pull? At Sports Cards Plus, you can forget the odds. We have plenty more Super Hits waiting for you. So go to Sports Cards Plus on Monday and get your fair share.